You should start off by buying roughly 200 vials of water, and lots of herb seeds (you can sell your extras back to the shop for the same price as you bought them for). 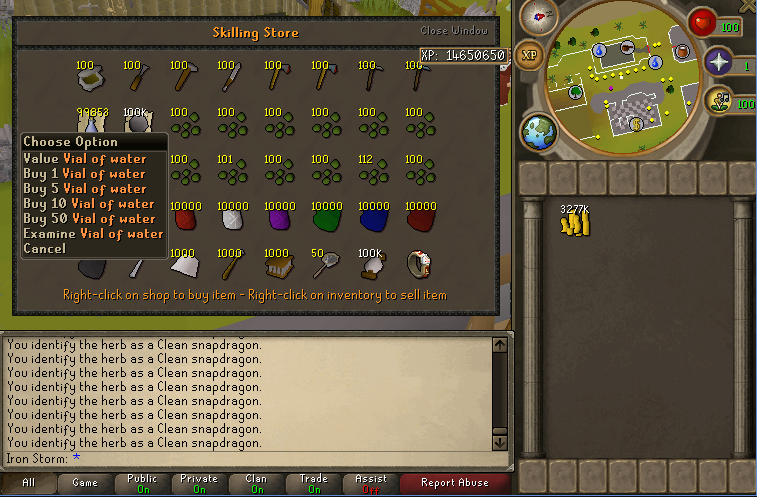 For each inventory, I recommend taking four seeds. There is no hard and fast rule for how many seeds you should take, as the number of herbs you can get per seed ranges from 3-8(avg is just over 5.5), however 4 is recommended. 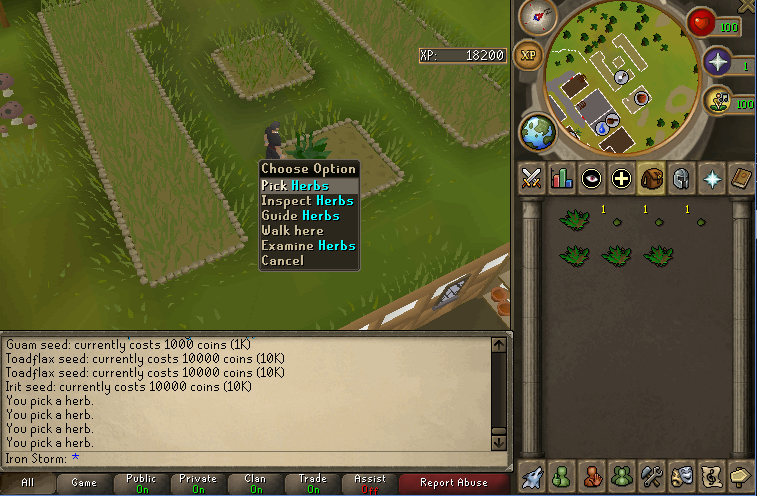 Once you have your seeds, you can teleport to the skilling area and run north-west to the Catherby herb patch! 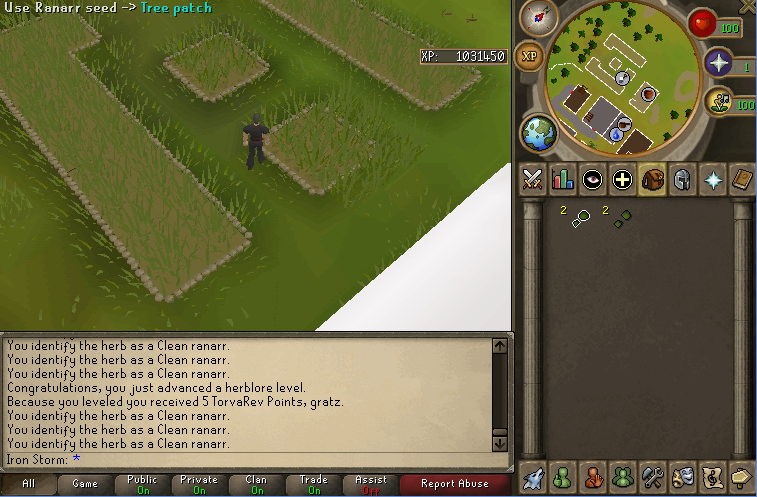 Use the seeds on the tree patch, and then pick the resulting herbs! 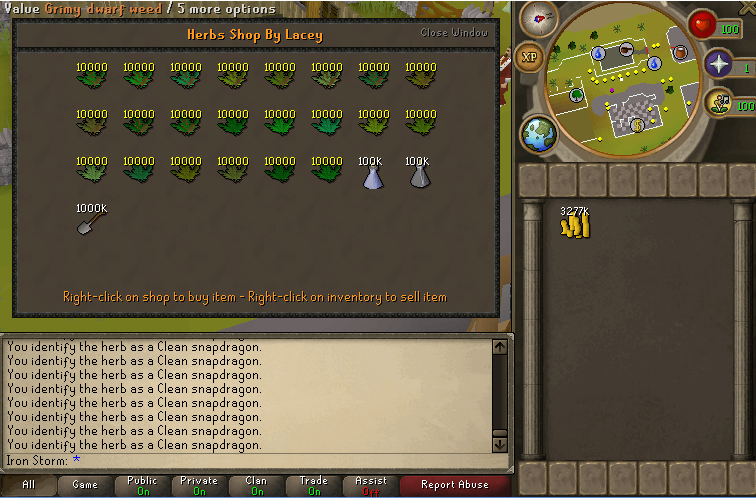 Clean the herbs, bank them, grab more seeds, and repeat! Once you're done farming, you can use the herbs with the vials, and the potions are automatically made! 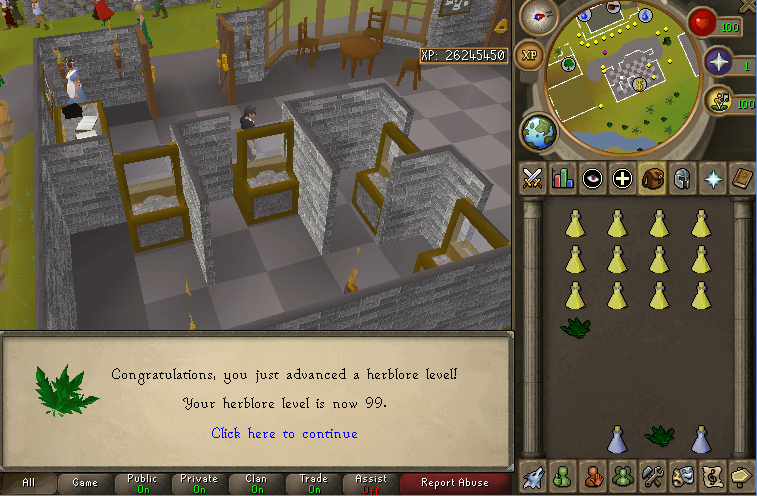 If, somehow, you're so unfortunate as to not have enough herbs to get 99 herblore, you're also able to buy herbs from the skilling shop. 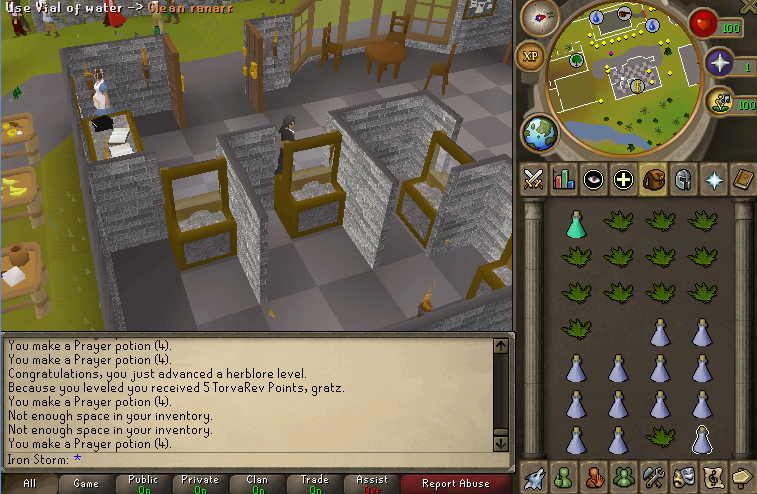 You'll get the best xp per potion by mixing toadflaxes into saradomin brews at 81+ herblore. Couldn't of said it better myself Alex, Welldone this is fantastic, hope you keep it up mate, loving the outcome you're producing towards the server!